In order to have a memorable anniversary, we offer you a new concept of future fun. From the youngest to the eldest, VR is the perfect technology for any age and it will turn into a memorable experience for all the members of your family and friends. 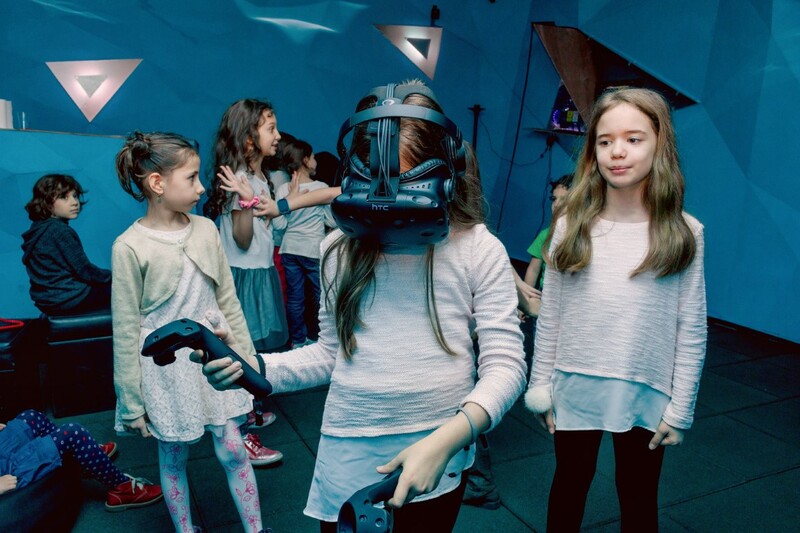 At Gateway VR Studio you can find a generous play area with four HTC Vive and Oculus Rift headsets, state of the art technology and carefully selected apps to offer you the best party. We pride ourselves with a friendly team that will make sure you will have the best time with us. We are ready to offer you recommendations and advice in picking the best suited experiences for your group. Children and happies when playing with technology so why now offer them the possibility of immersing themselves completely in their games? Virtual reality games fascinate them not just because they are transported into a new world, but also because it requires extra attention and full body coordination to get to the next level. It’s the best way to play and learn new things at the same time, and more headsets means multiplayers and super excited kids.